After many years on their beautiful acreage, Vic & Diane are moving into the city of Brandon and must sell these valuable items. There will be a good lunch available at the Auction Site. For inquiries please call Vic or Diane at 204-728-1546. We have a very nice selection of small collectibles and antique furniture at the auction. All will be sold as Mrs Carels has moved. Please stop in at Holland Community Hall and look over the items, I'm sure you will see something of interest. A good lunch will be available. Terms are Cash. For inquiries please call Margaret Carels at 204-526-2259. – Guy Grenier Plastering Ltd. Please join us for a nice neat sale. There will not be a lot of small items to go through, so the selling times should be pretty close. The Polaris Quad will sell subject to the owner's confirmation, all other items are unreserved. A good lunch will be served. Terms are cash or your good cheque. Friends; This will be a good large Auction, please plan to spend a good part of your day with us. The Hutlets maintained a beautiful house and yard, and the items for sale here will reflect that. There is very little use on the Cub Cadet Mower and Snowblower. There are some very interesting collectibles, and very useable furniture and appliances. Please plan to attend. For inquiries call Norbert or Joan at 204-526-2292. 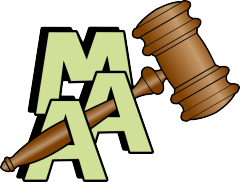 This is a premium Auction with very servicable articles for sale. Henri did an excellent job at woodworking over the years, and this required good tools to do the job. These tools, along with his beautiful furniture and appliances will be sold to the highest bidder. There will be lots of Craft Supplies available at the Auction. For inquiries, please call Henri at 204-744-2875. This Auction features many everyday useable items. All of the kitchen items were in boxes at the time of listing, but please note: there will not be a lot of small selling. There is a good line of appliances with a couple of them with only a small amount of useage. Mrs Lee has moved to Treherne, and all items must go. For inquiries please call Rick Lee at 204-526-5004. At this Auction you will find many articles in very good condition and well cared for. Mrs Timmerman is moving into Swan Lake, and wants to sell all items to the highest bidder. It will not be a long Auction, with not a lot of small selling. Please plan to spend some of your day with us. Lunch will be served. For inquiries please call Evelyn at 204-836-2354. Mrs. Cousin has sold her house and is moving to the Manor. All items will be sold to the highest bidder. A good chance to pick up a nice antique, or a good useable piece for yourself at your price. For inquiries call Margie Van Den Bosch at 204-836-2596. More pictures on Global Auction Guide.